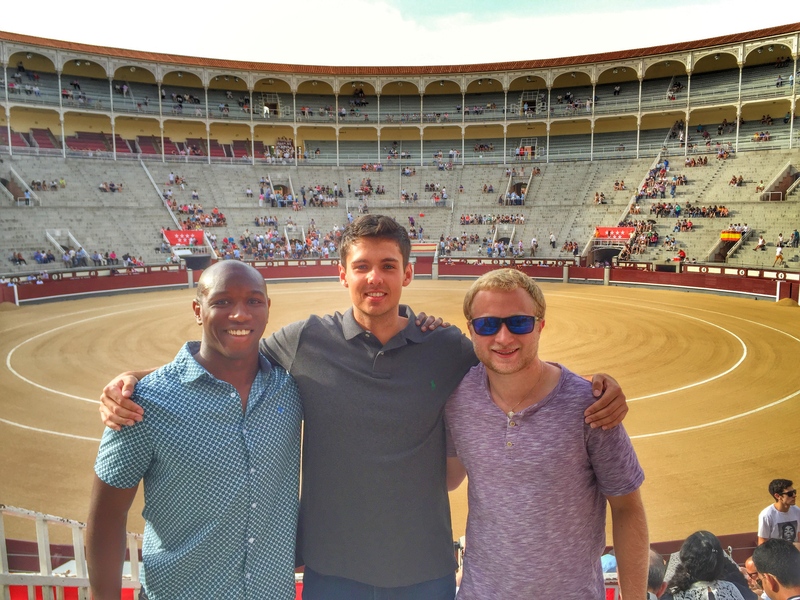 With my time abroad coming to an end sadly here are some of the “Top 10 Lessons Learned” I took away that you might find useful while in Madrid or anywhere else you travel. Enjoy! Trip Advisor can’t always be trusted, usually great local spots are not even on the site but popular restaurants often offer discounts for booking a table in advance which can save you some money. Always have cash on you, often many places in Europe will have a minimum amount for credit card usage or won’t take them at all. Pit-pocketing is real. While I did not get anything stolen during my stay I did have an attempt at it. While studying a few kids came up to my table and tried to distract me, I quickly put my phone away and they proceeded to leave. Download the offline version of Google Maps for cities you will be visiting to save your battery life and data usage. Also this comes in handy if your cell phone service is not very good in the area. Always pay in Euro when using your credit card. Although it may sound right to pay in USD, fees are often added on rather than your bank doing the conversion for you. If studying abroad in Madrid, get a Google Campus Madrid membership. It is completely free and a great spot to study and meet new people. Depending if the water is safe in the country you are in most restaurants will be happy to offer you tap water for free if you request it specifically, BUT if not expect to pay for a fancy bottle of water. At restaurants bread is not always free if it is placed on the table and sometimes a small service will be added to your bill. Download WhatsApp prior to leaving the United States or you will not be able to use it in Europe. Try to space out traveling to every other week or every two weeks, while there are many countries that are cool to visit, traveling every weekend will take a toll on your visit may not be as enjoyable. With Portugal being right next to Spain and sharing a border I quickly discovered upon arrival that despite the two places being close in proximity they are certainly quite different. From the bright yellow trams lining the street to the different cuisines there was an obvious distinction. 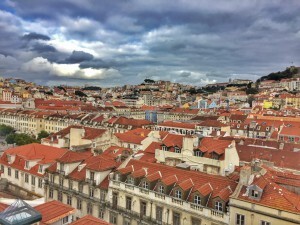 Within Portugal I visited Lisbon and once hitting the streets I was really glad I decided to pay this city a visit. Within a couple hours of landing in Lisbon I joined a “free walking tour” and learned some pretty cool things like the oldest book store in the world is located in Lisbon and the significance of the many monuments that are sprinkled around the city. With Lisbon’s many hills I really appreciated the tour guide pointing out there was actually an elevator that can be taken to one of the hilltops that overlooks the city. My friend Jon and I took advantage of this tip later and the views were incredible, we even purposefully got lost in the town and it was interesting to see the locals going about their evening and chatting with one another in the street. Anyone who knows me well knows I enjoy food, but those who really know me know that my favorite category of food is seafood. Lisbon just happens to offer some of the best seafood in Europe and it is safe to say it will probably ruin any seafood that I have in the future. The restaurant we went to had about a 40 minute wait but there were no regrets after such a flavorful and fresh dinner. *Travel Tip* The food the restaurant places on the table once you sit down is NOT free, we learned this after see our bill consisted of a few items we never ordered but for an extra $5 it was well worth it. 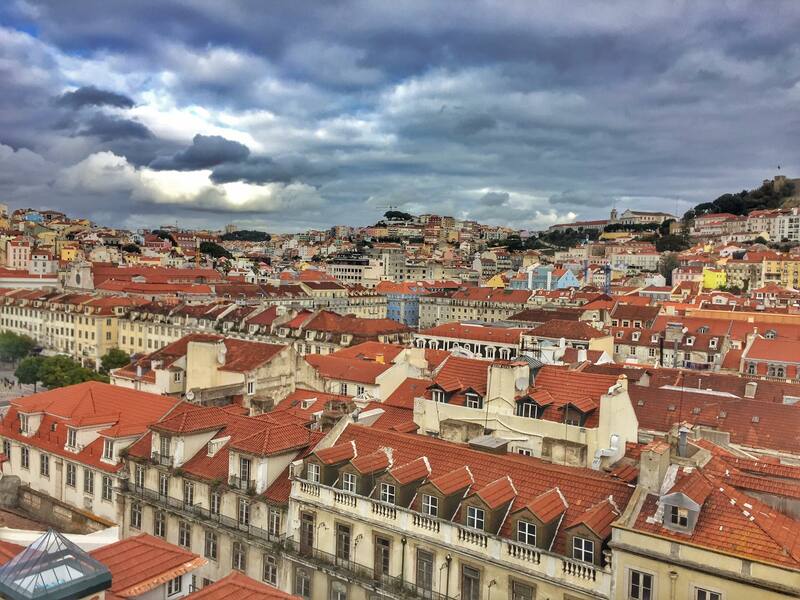 Our time in Lisbon ended with venturing out to the town of Sentra. Sentra is known for immaculate castles and its historic feel. It took about 45 minutes to reach Sentra and it also happened to be raining the time we went. We made it a point to visit one of the most famous castles that is known for being colorful however once reaching the entrance of the castle we were told that we had missed the last round of tickets by 12 minutes. Although it was disappointing our uber driver showed us around the town by car and even showed us a pastry shop where we could get Sentra’s famous pastry which was quite tasty. During your time abroad be sure not to neglect the places right next to the country you’re studying in, it may surprise you how much fun you’ll have exploring these places. I am not sure where my adventures will take me next but Lisbon definitely has been a highlight of my study abroad experience. 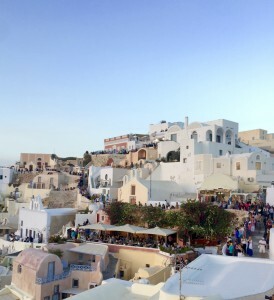 When looking up trips I’d like to take while in Europe, the idea of going to Greece wasn’t realistic until a Times article highlighted Santorini Island as one of the Top 50 places a person must see in their lifetime. That was enough to convince me that I hadto see the island for myself and with already being in Europe it made sense both monetarily and logistically. Our island adventure started with making a stop in Athens first. Withina couple of hours of hour plane landing we made it a point to see the Parthenon, but soon discovered we only had a short time to make that happen. We sprinted up the hilly cobblestone path and finally made it to the entrance. We made the 6pm cutoff time with just a couple minutes to spare and to our surprise found out entry was free for students. The view of Athens from the Parthenon was inspiring and seeing it up close bought elementary school history classes to life. 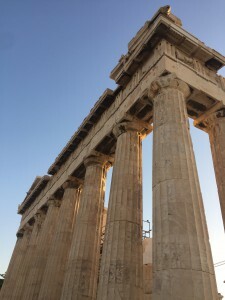 Following our short excursion we explored the rest of Athens and head to bed relatively early for the 7am flight to Santorini Island the next morning. 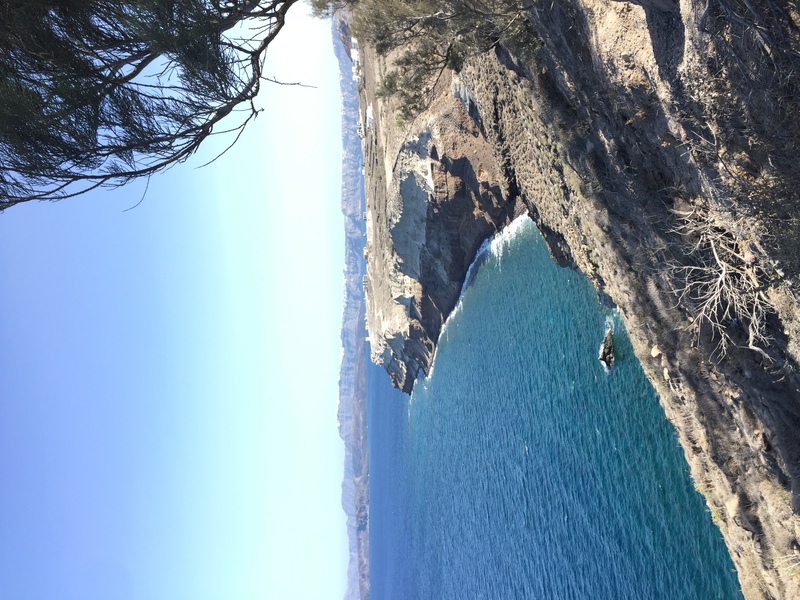 Once we touched down in Santorini I immediately knew this trip would be incredible, from the weather to the hospitable nature of our hostel owners the trip was off to a great start. 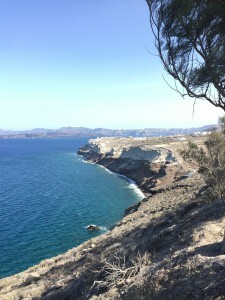 With Santorini being a small island we thought it was best to explore via ATVs. Myself and two friends rented from a local company recommend by our hostel and shortly after test driving them we were on our way. We started at the southern tip of the island at a black sand beach. I had never seen black sand before but the look and texture of it was uniquely likable. After a quick nap on this beach we made our way to a lighthouse and incredible does not give justice to the views of the crystal clear water and cliffs running along the island. As if the views from here couldn’t be better we made it a point to watch the sunset from Oía, which is iconic for the glistening white homes and blue roofs. But although I enjoyed the sunset from here it was the journey there via ATV I found even more enjoyable. It was just an awesome feeling having the wind blow in your face as you drive past the massive expanse of the ocean going for miles. Our Santorini adventure ended poolside at our hostel which felt morelike a resort honestly with the amazing staff and great quality rooms. The trip was incredibly relaxing and worth every penny for the constant jaw dropping sights we were fortunate enough to experience! Last year when my roommate brought up the idea of studying abroad together I was pretty skeptical and honestly unsure if it was a good idea. Life was good in Louisville and leaving it behind just did not feel right. I eventually gave in and it wasn’t until my plane took off that the realization I was actually studying abroad hit me. 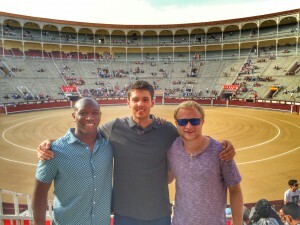 Fast forward to now and it is safe to say Madrid feels like home. The realization of this first hit me after spending a weekend in Ibiza and despite having an awesome time, I couldn’t wait to return to the familiarity and ambiance of Madrid. While my friends and family aren’t here, technology makes it easy to stay in touch and snapchat and twitter are easy reminders that UofL is pretty much how I left it so I should have no shame being away and making the most of my time in Madrid. Being here I’ve obviously had to adapt to some cultural differences but I’ve gown to enjoy them and can already tell adjusting back to life back home may be a struggle. For example, life moves at a pretty slow pace in Madrid. Whether at restaurants or walking down the streets, everyone is relaxed and being prompt is not a priority. My friends and I joke about showing up places at Spanish time often because if we agree to meet at a certain time, we usually do not show up until 10-20 minutes after the agreed time. Another cultural difference I’ve grown to enjoy are mid afternoon naps called siestas. During this time a lot of local stores and offices are closed and barely anyone is seen walking the streets. Of course one isn’t obligated to sleep during this time but you might as well since what you’re anticipating on doing will probably be interfering with someone else’s siesta time. All in all I’m thrilled I choose Madrid to study abroad. It truly feels like a home away from home, and I hope to return again after my study abroad experience is over.